There has always been speculation swirling around the relationship Charles Dodgson had with his young muse, Alice Liddell. During the mid 1800s, Dodgson was a mathematics tutor at Christ Church college in England. He was also an Anglican deacon, a keen photographer and writer. He gained acclaim for two children’s books, Alice’s Adventures in Wonderland, its sequel Through the Looking-Glass, that were published under his pen name, Lewis Carroll. 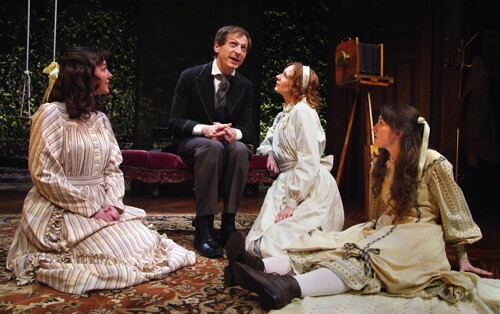 Lily Blau’s new play, The Missing Pages of Lewis Carroll, attempts to explore the interaction between the legendary storyteller and the seven-year-old girl who inspired one of the most famous stories ever written. For a time, Dodgson saw the Liddell children almost every day, frequently photographing them — especially Alice — and taking them boating, where he made up stories with Alice as the central character. But these meetings came to an abrupt halt in the summer of 1863. The reason is not known, and the page in his meticulously kept diary which might have revealed the answer was cut out after his death. 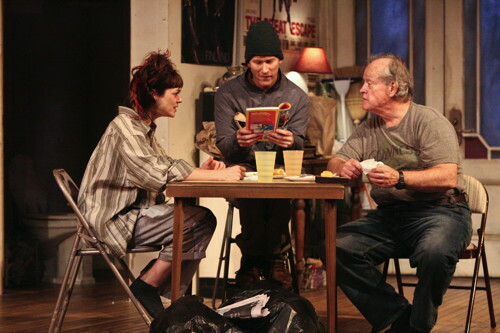 But Blau’s play doesn’t really shed any new light on the subject — it merely provides a lot of imagined backstory and dances around the specter of a possibly pedophiliac obsession Dodgson may have had for Alice. Additionally, via a cliched and heavy-handed device, Dodgson’s needling conscience is presented as a talking rabbit-eared figure (played by Jeff Marlow, who also appears in several other parts). The clearly well-researched biographical story is good but as drama, it lacks depth. It’s fun to spot lines from the Alice books popping up in conversation throughout. Alice’s imperious mother is clearly the inspiration for the despotic Red Queen, and Erica Hanrahan-Ball plays the various facets of that role extremely well. Leo Marks gives an endearing performance as Dodgson, a sweet and eccentric man who evidently was an awkward stutterer around adults but had a winning way with small children. 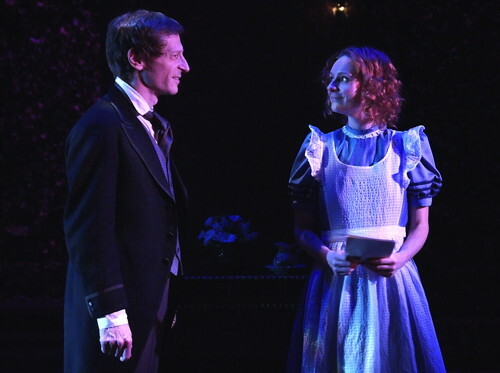 Corryn Cummins is also excellent as the precocious Alice, conveying a smooth transition from child to young woman. Abigail Deser directs her cast well, eliciting good performances from all, especially those playing the mischievous and rambunctious young girls. 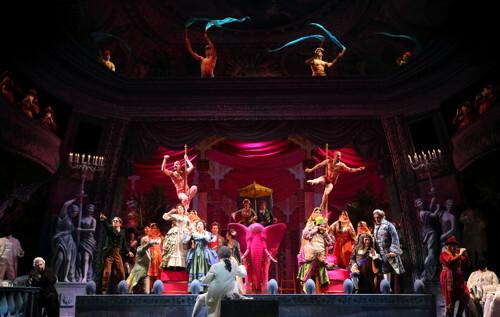 The elegant and versatile scenic design by Stephen Gifford is glorious. For a flashback to 1862, a clever use of scrims and lighting creates the dramatic reveal of a vine-covered garden set upstage. But a manic sequence of projection and discordant sounds suggests encroaching insanity in a rather obvious way. (Images by Keith Skretch, original music and sound design by John Ballinger.) Costumes by Garry Lennon are quaint, pretty and brimming with period detail. All in all, The Missing Pages of Lewis Carroll is an enjoyable play but it doesn’t offer any new theories nor resolutions to the more mysterious aspects of Dodgson’s life and career. 70 N. Mentor Ave., Pasadena. 8 p.m. Thursday—Saturday; 2 p.m. Sunday, running through March 1, 2015. Tickets: $34; $29 for seniors and students. Information: 626-683-6883, or purchase online here.